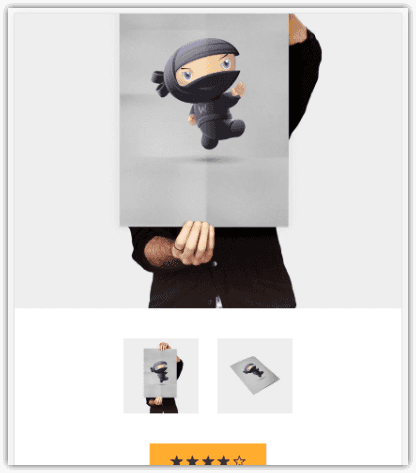 This section gives you a lot of control of the actual elements displayed on each content type: Posts, Pages, Categories & Archives, Home, Search and Comments. 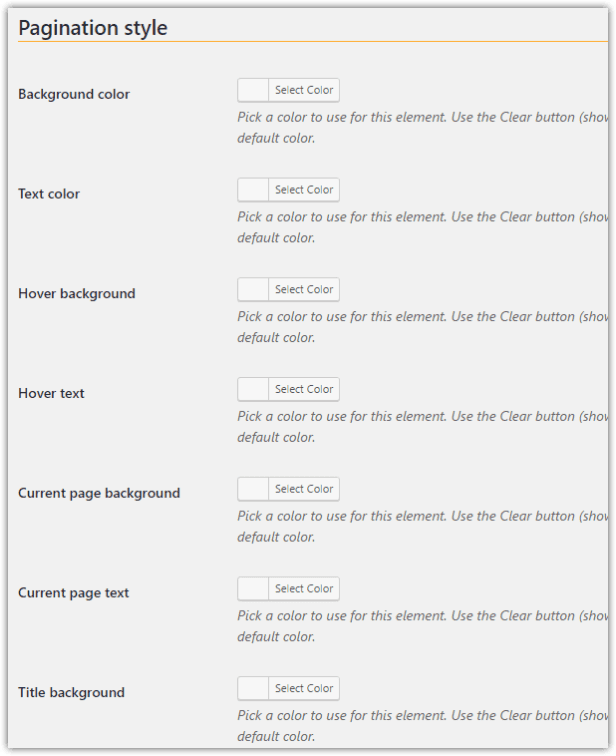 You can pick which visual element to include or not, per content type, without having to do any programming or theme customization. 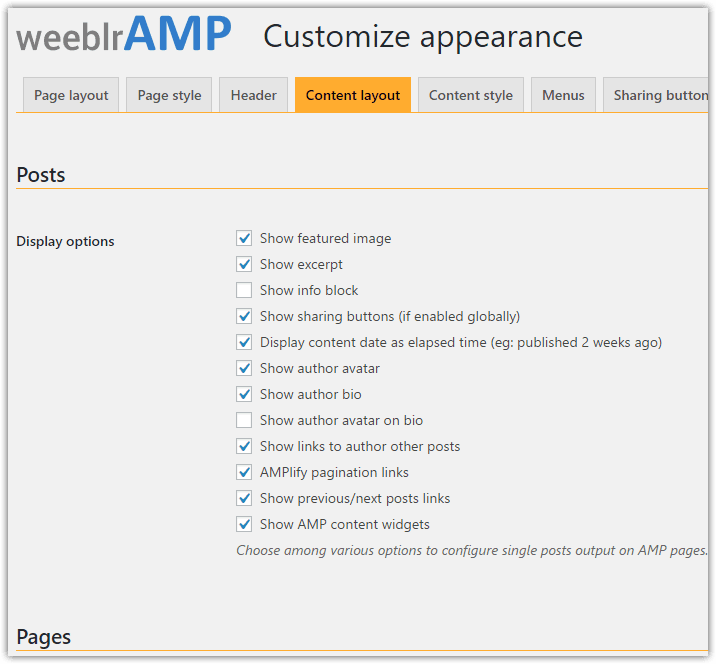 Please note when on this page that AMP widgets, the ability to leave comments and all search-related options are only supported in the regular edition of weeblrAMP.